A prestigious literary prize has been awarded to the Yemenite Israeli author Ayelet Tsabari. 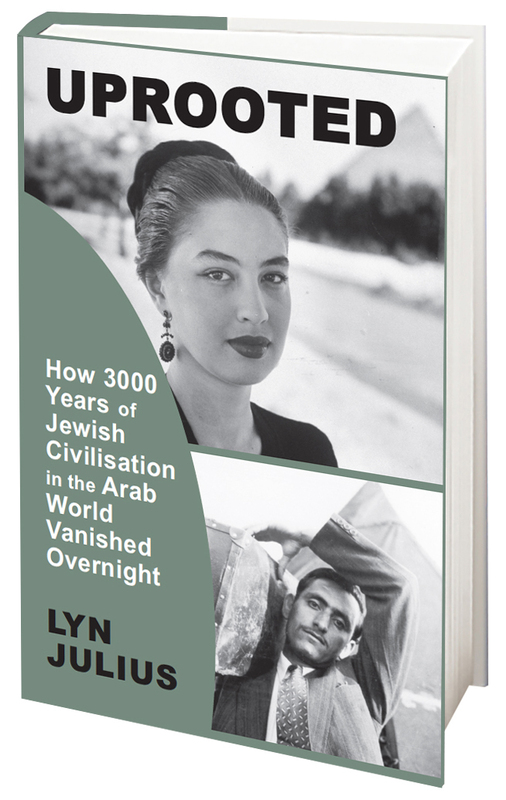 While Tsabari is to be applauded for trying to change the Eurocentric character of Israeli history, her work should not be seen (as hailed by Sigal Samuel in the Forward), as a victory for 'Arab Jews': most Jews from Arab countries would reject the expression. Ayelet Tsabari, author of The Best Place on Earth: Stories, has been named the winner of the Sami Rohr Prize for Jewish Literature. The $100,000 prize, which is one of the most generous literary awards, alternates between fiction and non-fiction yearly (last year’s nonfiction winner was Matti Friedman for his book The Aleppo Codex: A True Story of Obsession, Faith, and the Pursuit of an Ancient Bible). Kenneth Bonert, author of The Lion Seeker: A Novel, was named this year’s runner-up and will be awarded $25,000. 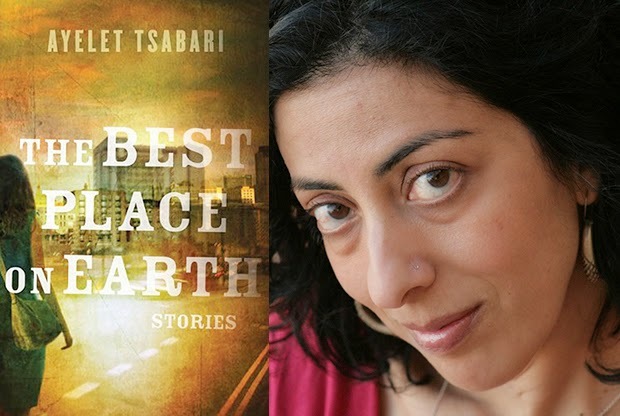 In Tsabari’s debut story collection, she explores Israeli history through characters of Mizrahi background—Jews of Middle Eastern and North African descent—who are at the crossroads of nationalities, religions, and communities. An ancient Torah scroll that was recently stolen from a synagogue in southern Iran was reportedly located and returned to the Jewish community by members of a volunteer paramilitary group in the country, local media reported Sunday. According to Iran’s semi-official Fars news agency, a number of valuable manuscripts went missing this month from a synagogue in the southwestern city of Shiraz. 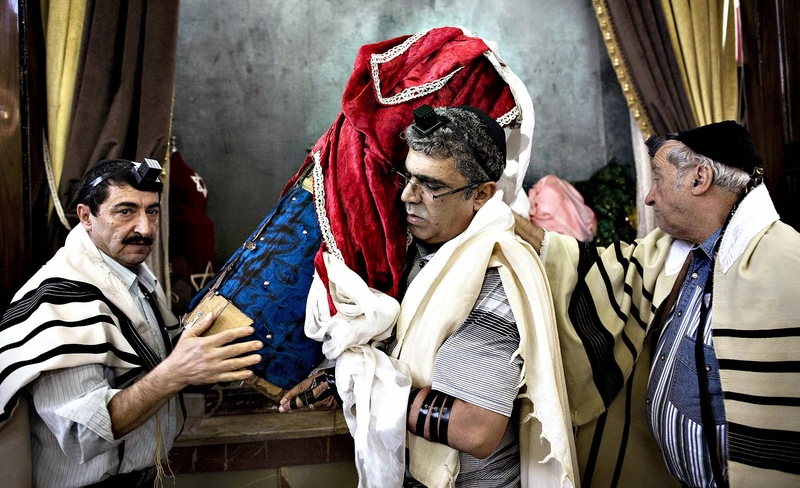 Forces belonging to the Islamic Republic’s Basij militia, which operates under the Revolutionary Guard Corps, allegedly recovered one Torah scroll and returned it to the local Jewish community, Fars reported. 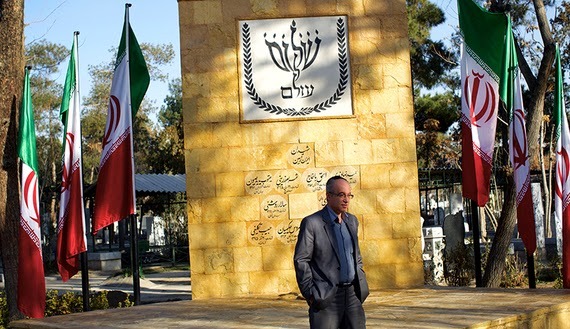 Iran has been home to one of the oldest Jewish communities in the world. 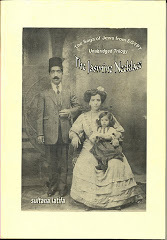 Current estimates put the population of Jews in the Islamic Republic between 8,000-25,000. Abraham Miller barely conceals his indignation in The Blaze at the US administration as he pleads for it to give asylum to Christians fleeing the Middle East, who do not qualify for resettlement. The Christians are following the Jews out of Egypt, but Israel took in the Jews of the Islamic world without a penny of international assistance. In October 2011, violent clashes occurred in Cairo between Coptic Christians and Muslims, a direct result of the Muslim-dominated government brought to power with the assent of the administration of President Barack Obama. He was reflecting on the future of his fellow Coptic Christians, for the proverb was widely taken to mean that first Islam will get rid of the Jews and then the Christians. Wahed was so moved by this memory that he penned a letter about it that appeared in the Wall Street Journal on Oct. 17, 2011. Of course, this is politically correct nonsense. 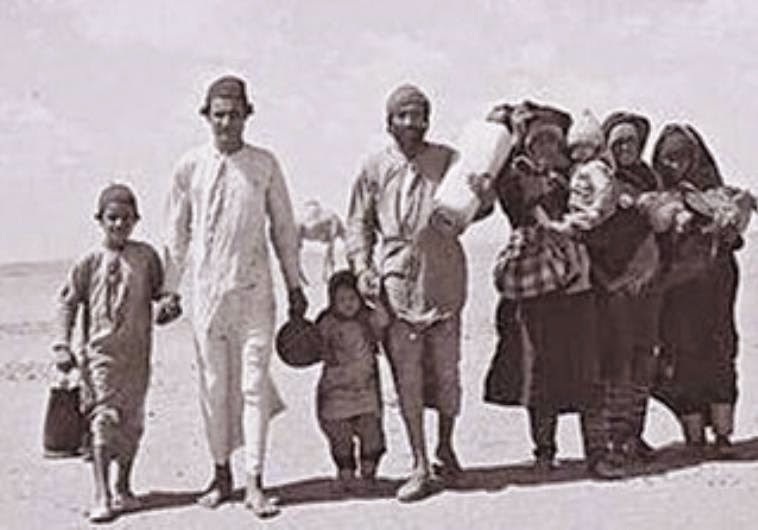 Egyptian law prevented Jews and some Christians from acquiring citizenship. Dhimmi, the Islamic imposition of de jure second class citizenship on non-Muslims, was part of Egyptian law into the 1920s. Christians, watching the mass exile of Jews from Islamic countries, wondered when the inevitable Sunday following Saturday would make it their turn. And so it has happened in more ways than one. As the world ignored the mass expulsion of Jews from the Islamic world, it is also ignoring the reality of what is happening to Christians. 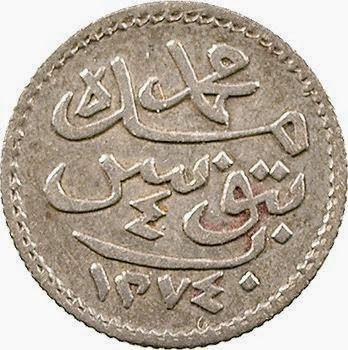 It was tiny Israel, barely born, that took in the Jews of the Islamic world. There was not a penny of international assistance from the United Nations, the mainstream Protestant Churches that now advocate boycotting Israel, or anyone in the international community. 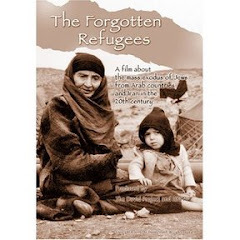 Israel took in these refugees even when there was not enough food in the country to feed everyone three meals a day. Who will take in the Christians? Who will stand up and acknowledge their plight? Certainly not President Barack Obama! He is incapable of mouthing the word, “Christian,” to acknowledge those who are the latest victims of Islamic State in Libya. 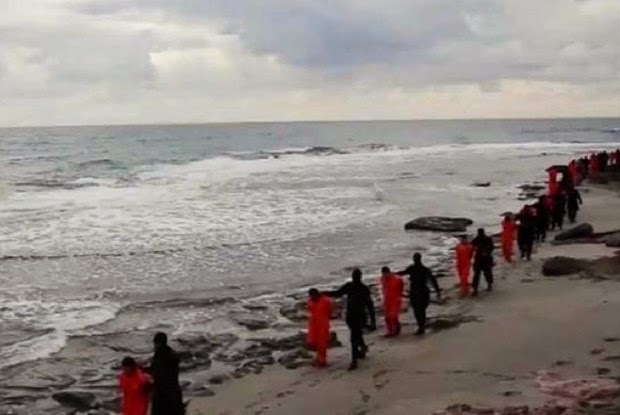 Twenty-one Christians are simultaneously, wantonly, and graphically beheaded and the so-called leader of the free world can no more acknowledge that these people are killed for their beliefs as Christians than he can acknowledge that their murderers are Muslim terrorists—no more than he can acknowledge that the people slaughtered in a French kosher deli were Jews. But if that were not sufficient to spark outrage, Christians that are victims of Islamic State in Syria and Iraq do not qualify for resettlement in America, as do Muslims. The Department of State is adhering strictly to a rule that only refugees in refugee camps qualify for resettlement. Christians stay away from refugee camps as they are dominated by Muslim refugees and have Islamic State collaborators in them. The president who has a cell phone, a pen, and an ability to trample the Constitution when it comes to admitting illegal immigrants has no tools at his disposal for helping Christians fleeing Islamic State. The Christians are seeking safe haven, not economic advancement. 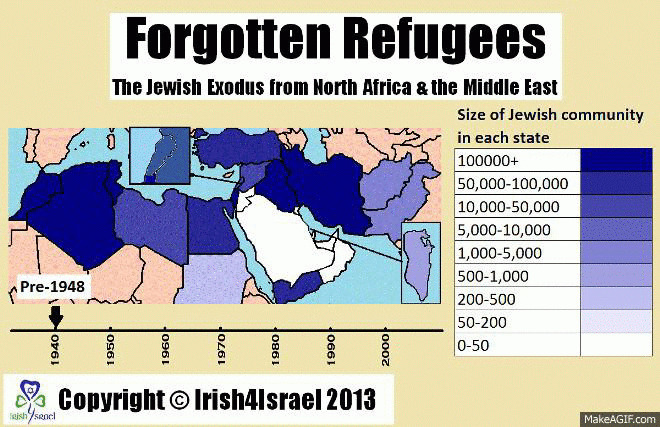 There are no Jewish refugees in Iraq or Syria. They were expelled more than half a century ago. Their expulsion was indeed a harbinger of things to come, and the manner in which the world chose to ignore their plight was also a portent of what would befall the Sunday people. The president will take no action on their behalf. The mainstream liberal churches are too busy trying to boycott Israel to be concerned with their Christian brethren. The campuses are too consumed with destroying capitalism and apologizing for Islam to take notice. At least the shrine is still standing. 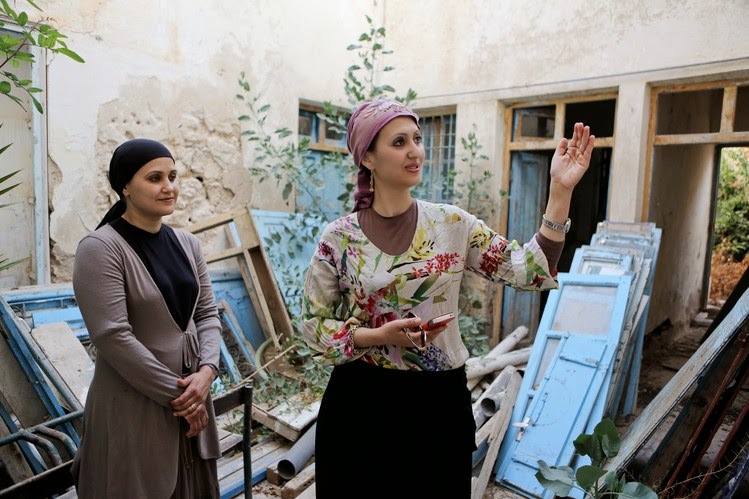 Last week, Arutz Sheva quoted a report in the Arabic press that the 'Ezra synagogue' had been largely destroyed by a terrorist militia, raising fears that the shrine of Ezra the Scribe had been lost. But the synagogue in question is thought to be located in the Shia Muslim city of Basra; the militia wants to make the synagogue its southern headquarters. Apparently quite a few sites - Muslim as well as Jewish - have been damaged or destroyed, but the authorities and media have been intimidated into silence by the terrorists. Since the Islamic State (ISIS) terrorist group led a Sunni takeover of huge swathes of northern Iraq, the country has seen the establishment of dozens of Iranian-backed Shia Islamist militias - based largely in the Shia-dominated south - which are currently fighting alongside Iraqi government forces against ISIS. But these militias have also been accused of committing similar crimes against Sunni Muslims as ISIS has against Shias - and these latest reports seem to indicate it is abusing religious and historical sites similarly as well. 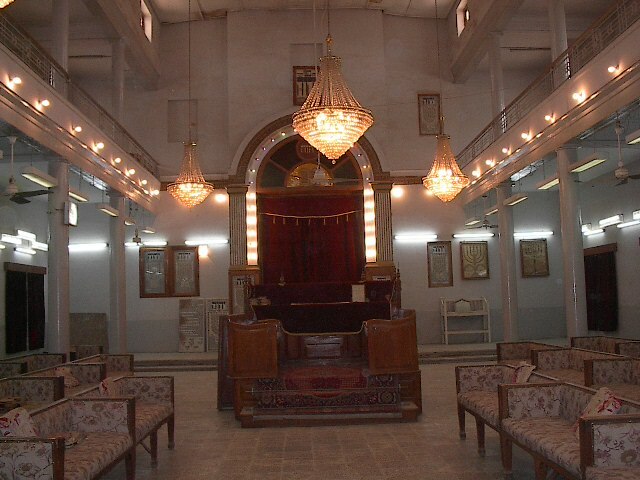 Neglect, destruction or Islamisation are the triple threats facing historic Jewish shrines in Iraq. 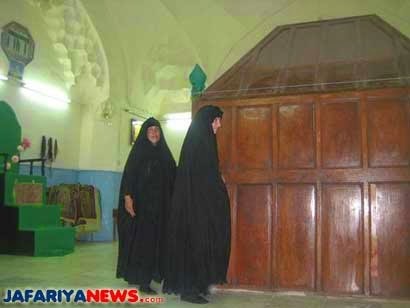 Since 2010, there has been concern that the shrine of Ezekiel at Al-Kifl south of Baghdad, the most important of Jewish holy sites in Iraq, was also being converted into a mosque, and Hebrew inscriptions were being painted over. These reports turned out mostly false, but one visitor testified to the loudspeakers affixed to the outside to call the Muslim faithful to prayer. No substantial renovation work has been done to the shrine since, as the religious authorities and the ministry of heritage wrangle over the future of the site. Meanwhile, the fabric of the building, already in a state of disrepair, deteriorates further. In the north of Iraq, the Jihadists of Islamic State have blown up the shrines of Jonah and Seth. There are also fears for the crumbling shrine of the prophet Nahum at Al-Kosh and the tomb of Daniel in Kirkuk - the latter of which was also reported destroyed by some sources last year. All these sites used to attract hundreds, if not thousands of Jewish pilgrims in the heyday of the 150,000-strong, pre-1948 community. Now that there are only five Jews left in Iraq, it is difficult to see how the inexorable process of de-Judaisation can be reversed. Irina Bokova, director-general of UNESCO, has been sincere in her desire to protect Jewish and other heritage in the Middle East, but there is a limit to what the organisation can do when whole swathes of Syria and Iraq have fallen under the iconoclastic control of Islamic State. Some 20 friends and relatives, including his daughter and the film-maker Alexandre Arcady, who was also born in Algiers, joined the Algerian minister of culture Nadia Labidi, the French ambassador to Algeria Bernard Emie and the Wali, Abdelkader Zoukh. The coffin was received by a guard of honour at the gates of the Saint-Eugène cemetery. The cemetery was renamed Bologhine following independence, after the founder of Algiers in the 10th century. 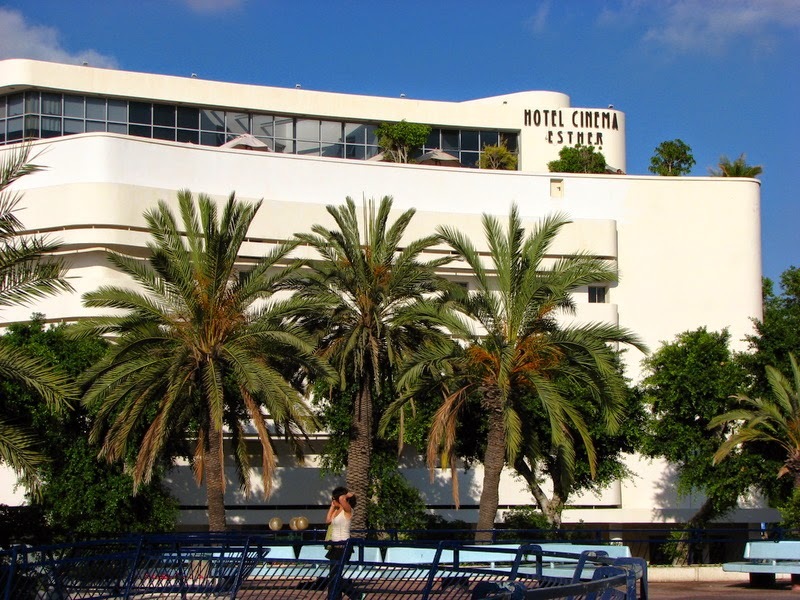 Roger Hanin's decision to choose Algiers as his last resting place is the "expression of his attachment to his native land; many Jews feel a similar attachment to Algeria and a deep sense of familial belonging", the CRIF president Joel Mergui explained. The Algerian President Abdelaziz Bouteflika paid homage to the actor, "a symbol of the friendship between the Algerian and French peoples." Harassment by the Houthi movement - whose motto is "Death to America, death to Israel, curse the Jews, victory to Islam" - caused Jews in recent years to largely quit the northern highlands they shared with Yemen's Shi'ites for millennia. But political feuds in which the Jews played no part escalated last September into an armed Houthi plunge into the capital Sanaa, the community's main refuge from which some now contemplate a final exodus. "Since last September, our movements have become very limited for fear of the security situation, and there are some members of the community who preferred to leave Yemen," sighed chief rabbi Yahya Youssef, sitting in his apartment within a walled compound next to ministry of defense. Dressed in the traditional Yemeni flowing robe, blazer and headwrap, Rabbi Yahya's lined face is framed by two long curls on each side. Along with Hebrew he and his co-religionists speak Arabic, value local customs and are wary of life beyond home. "We don't want to leave. If we wanted to, we would have done so a long time ago," Yahya said as his infirmed old father rested in the sun outside their home. "Jews are safe and no harm will come to them," said Abu al-Fadl, who like other leaders in the movement goes by a nom de guerre and not his given name. "The problem of the Houthis is not with the Jews of Yemen but with Israel, which occupies Palestine," he added. But memories of death threats and Houthi fighters burning down Jewish homes during the militia's decade of on-off war with the now nonexistent Sanaa government will not be soon forgotten. Israel-linked organizations have in the past repeatedly helped whisk Jews out of Yemen, but Israeli government spokespeople declined comment on the matter, citing reluctance to endanger Yemen's Jews by association with Israel. 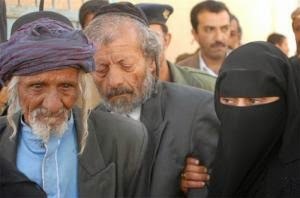 "There are certainly discussions going on over options available regarding the Yemenite Jews," said an Israeli official briefed on immigration matters. But these are individuals who will have to make their own individual decisions about what to do," the official added. ‘The right to freedom of thought, conscience and religion and to manifest such beliefs was part of the Human Rights Act 1998 but such rights must be exercised ‘in a way which respects the sensitivities and needs of other individuals, groups or society as a whole. The Islamic Centre and Woolf Institute, of which he is patron, were both bodies that could help by making it clear that ‘such attacks are a betrayal of Islam and foreign to its true belief’. ‘For over 1000 years, Jews and Christians lived safely in Arab countries contributing to the wellbeing of all. Why not mention all those times when Jews and Christians didn’t live ‘safely in Arab countries’? Why not talk about the fact that Jews have had to flee most Arab countries and that Christians are in the process of doing so even as the good Lord witters on, completing a process of ethnic and religious cleansing which began in the days of Mohammed? And ‘Insha’Allah’. Really? 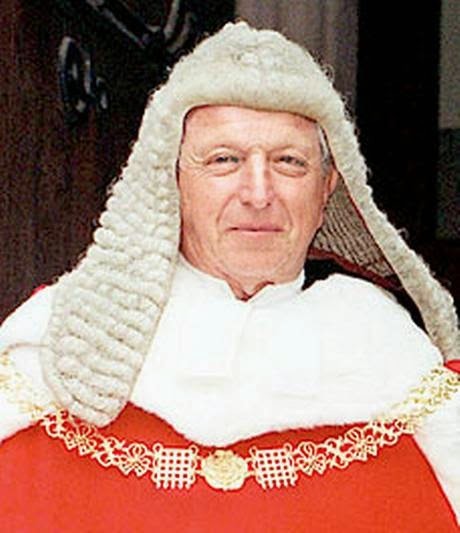 Does Lord Woolf – a Jewish British judge – really need ‘Allah’ to will anything? I had thought that the supine man after whom the Simon Hughes award is named (a gay or possibly bisexual Liberal Democrat Catholic) could never be beaten to his own prize. But Lord Woolf’s effort suggests that next year’s awards might have to be renamed. The Woolf in sheep’s clothing award? 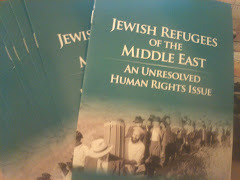 Uriel Hellman's article in B'nai B'rith Magazine dates back to 2011, but it is still relevant to the few thousand Jews still in Arab and Muslim countries today. How do they perform their delicate balancing act of survival as Jews, and why don't they leave? When an American Jewish journalist visiting Tunisia in 2007 asked the leader of the local Jewish community how things were going for the nation's 1,500 Jews, the man offered an upbeat picture. Jews were free to come and go as they pleased, Roger Bismuth said, and they lived in relative safety. The North African country, which is 98 percent Muslim, even welcomed Israeli tourists, he noted. Bismuth reserved his highest praise for the country's autocratic president, Zine el-Abidine Ben Ali, who had been in office since seizing power in a bloodless coup in 1987. The president, Bismuth noted, directed government funds to restore old synagogues and made sure the Jewish community was protected, particularly from the rising tide of Islamic extremism elsewhere in the Muslim world. "The president is good to us," Bismuth told the reporter, Larry Luxner of the Jewish Telegraphic Agency (JTA). "We are very careful. Our security is very tight, even if you don't see it." But after Ben Ali was ousted in a popular revolution in January of this year and denounced by his countrymen as a corrupt and nepotistic dictator, Bismuth abruptly changed his tone. "He was behaving like a crook," Bismuth said in January of Ben Ali, who fled to Saudi Arabia. "He and his family stole property from people and the state, and they destroyed everything they could put their hands on." 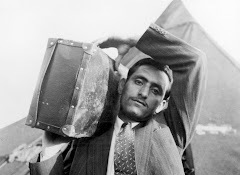 The stark reversal was a sign of the delicate balancing act Jews who live in Arab and Muslim lands must practice to maintain their safety and way of life. In countries where autocratic regimes are the rule and Islamic anti-Semitism an omnipresent threat, the Jews' well-being depends on a good relationship with those at the helm of power. A popular saying among French Moroccan Jews captures this sentiment. "Which party are you for - this one or that one?" goes the adage. The reply: "Nous sommes avec les gagnants - We are with the victors." A revolution, a new king, a war in Israel that stirs political passions-any of these can presage a sudden and dramatic turn for the worse. "They always, always are wondering what will happen the next day," said Norman Stillman, author of "The Jews of Arab Lands in Modern Times" and director of the Judaic Studies Program at the University of Oklahoma. Indeed, in Tunisia it took less than a month for popular anger against the regime to spill over into anti-Jewish violence. 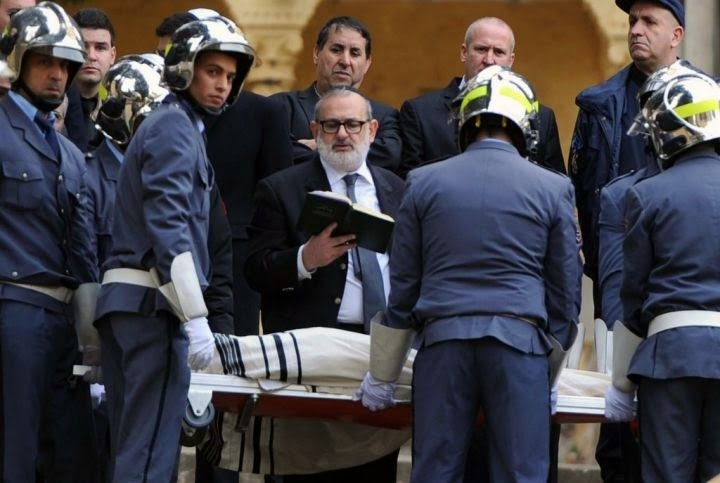 On Jan. 31, arsonists set a synagogue in Tunisia's southern Gabes region ablaze, burning the Torah scrolls. 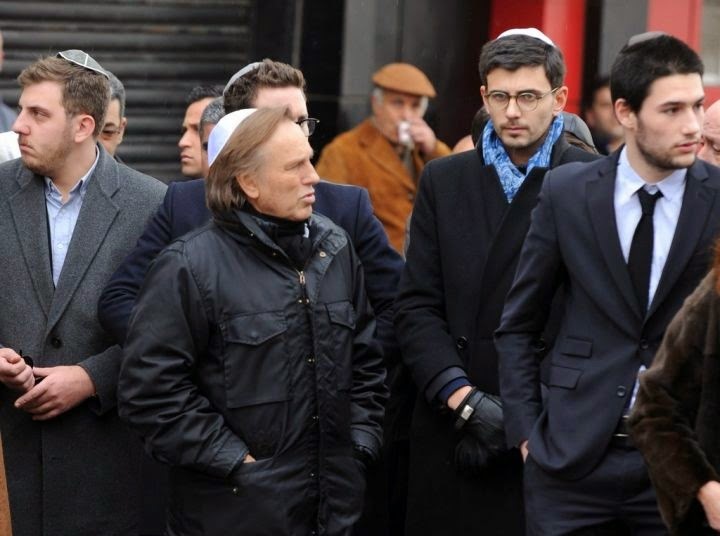 A Jewish community leader criticized the police for not stopping the attack. "I was in Morocco in 1971 when there was a coup attempt against King Hassan II. 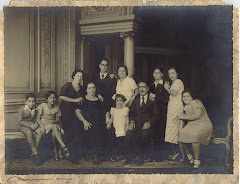 I remember everybody sitting by the radio waiting for the news," recalled Stillman of his Jewish family in Morocco. "Everybody was ready if they were able to get their bags packed and get out." The insurrection was put down and the king survived, and many Jews took to the streets to celebrate. Western education arrived in the Jewish communities of the Arab and Muslim world with the establishment of the Alliance Israelite Universelle (AIU). But the Alliance emphasised secular studies. The road to salvation for these Jews, it believed, was through cultural assimilation. In 1944 the Ozar Hatorah schools network was set up to plug the gap. Its aim was to provide primary Jewish education, which it did later on for the Alliance Israelite schools. 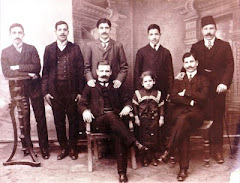 Ozar Hatorah was first set up by a Syrian-born manufacturer living in New York - Isaac Shalom - together with Joseph Shamah of Israel and Ezra Tuebal of Buenos Aires. Later, the American Joint took over the funding of the network. After the creation of the state of Israel, Ozar Hatorah closed its 29 schools there and focused on Iran and the Arab countries. Iran's Jewish community was in particular need of spiritual attention - the community was poor, knowledge was abysmal, and the religious leadership decimated by the forced conversions of the 19th century. Forty schools were founded there, with 8,600 pupils. 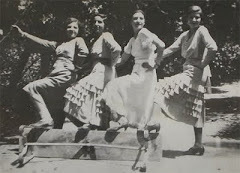 The Libyan schools closed with the mass migration of the community in 1951. In Syria, two schools in Damascus and Aleppo had 350 pupils in the early 1970s. The Damascus school was singled out for the best marks in the country. 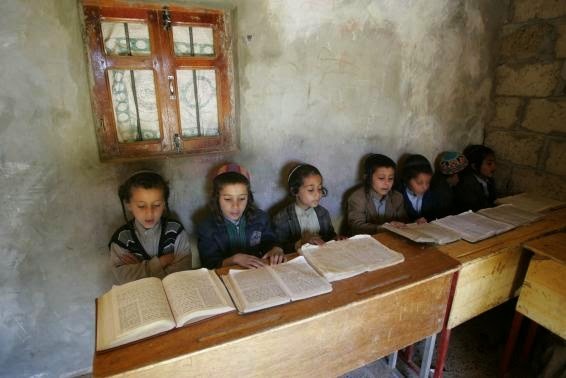 In Morocco, 60 percent of Jewish children attended Ozar Hatorah schools. Ozar Hatorah followed the mass migration from North Africa into France from 1961. It set its sights on creating schools in North and South America. 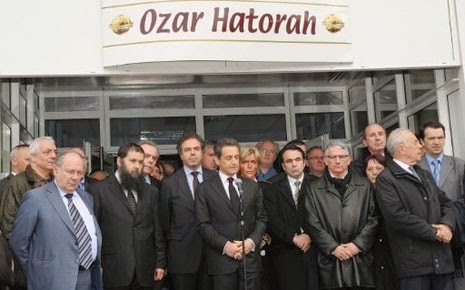 The Ozar Hatorah school in Toulouse, France, was the scene of a terrorist attack in March 2013. Three children and a rabbi were killed. Post by Ahmed Saleh ALhasnawi. This recent video of the shrine of Ezra the Scribe ( Uzair) in Amara province was shot by Ahmed Saleh Alhasnawi. 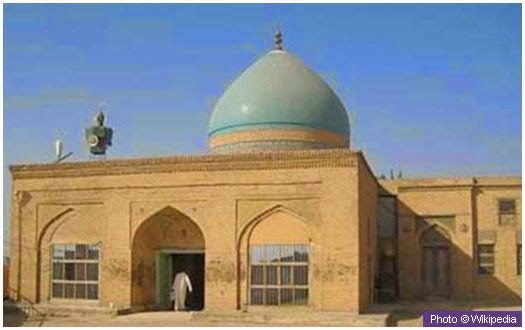 The shrine is unmistakeably a mosque, even though the local Shi'a have apparently no tradition of having revered it as a Muslim holy place. Koranic inscriptions and hadith hang on the walls and much green paint has been used to decorate the building. 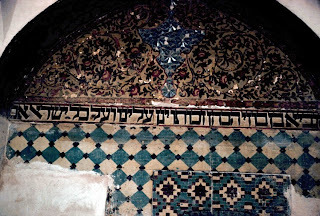 But Hebrew inscriptions still survive, namely the large 'Yahweh' typical of Jewish holy places in Iraq. There are marble tablets in Hebrew built into the walls. Look through a window into the sarcophagus and you will see an inscription in Hebrew identifying it as the final resting place of Ezra the Scribe. Renovation to the brickwork also seems to be going on at the Yeshiva nearby. Repairs in 2000 are thought to have been paid for by the tiny Jewish community in Baghdad. David Ozair (now living in Israel) comments on the IraqiJews Facebook page that he is a descendant of Ezra the Scribe and that his family, who were settled in Babylon for 2,500 years, all speak fluent Arabic. He hopes one day to visit his ancestor's shrine. This interesting article by Viviane Lesselbaum Scemama tells how the Fundamental Pact of 1857, guaranteeing equal rights for all the Tunisian Bey's subjects, arose out of the test case of a Jew called Batto Sfez. His beheading symbolised the degraded condition of dhimmis in North Africa before the western powers began to exert their influence. 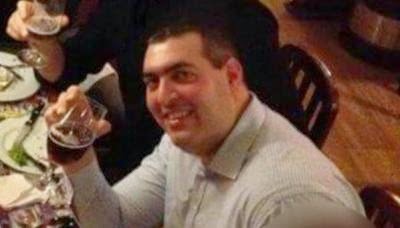 A Tunisian Jew named Batto Sfez was accused of being drunk, insulting a Muslim and cursing the Islamic religion. He was brought to justice under sharia law and sentenced to death. Jews and Christians were outraged by the cruelty of this sentence. 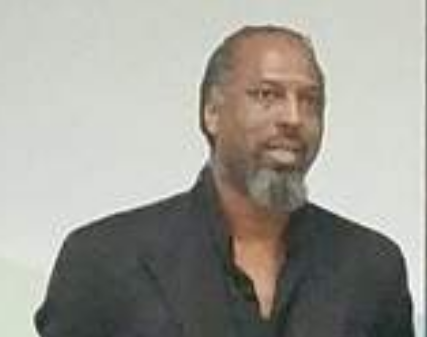 They appealed to the consular authorities to stop the execution and implore Mohammed Bey to show mercy. A few days before the arrest of Batto Sfez, it should be recalled that the Bey had executed a Muslim soldier who had murdered a Jew. For good measure, it seems, the Bey ordered to enforce the same sentence on Batto, the slight difference being that Batto Sfez was not a murderer. He was beheaded on June 24, 1857. This tragedy shook the Jewish community. It suffered its dhimmitude in silence: it had no right to the law. Faced with this travesty of justice the community was all more offended that the body was not restored to it. At the beginning of the Hebrew year 5772 (calendar year 2011) I reported to a friend, of Tunisian origin, my research on the Batto Sfez case. She reminded me that Sfez was beheaded and his head was picked up by an unscrupulous Arab gang and used as a football. converted into a hearse followed by a grieving crowd. This procession headed towards the Arabs who were enjoyed their macabre game. The funeral procession stopped . The coins were thrown at them. They let go of their prey and ran headlong to collect the manna. The stratagem succeeded. The Jews took back the head and buried it with dignity in the Jewish cemetery. The incident may have been forgotten by the Bey but for the Consuls of France and England it presented an opportunity - a pretext to pressure the Bey on August 13, 1857 to introduce reforms based on justice, security and the freedoms granted to all subjects. After some hesitation, Bey introduced reforms based on the principles of justice and freedom. The Fundamental Pact was proclaimed.